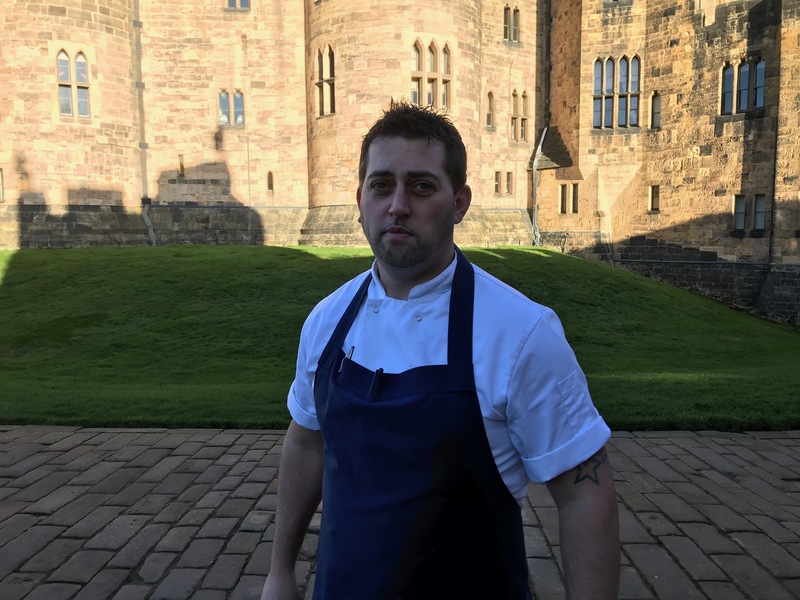 The new Head Chef at Alnwick Castle is on a mission to make the Castle a magnet for magnificent meals – of every variety. 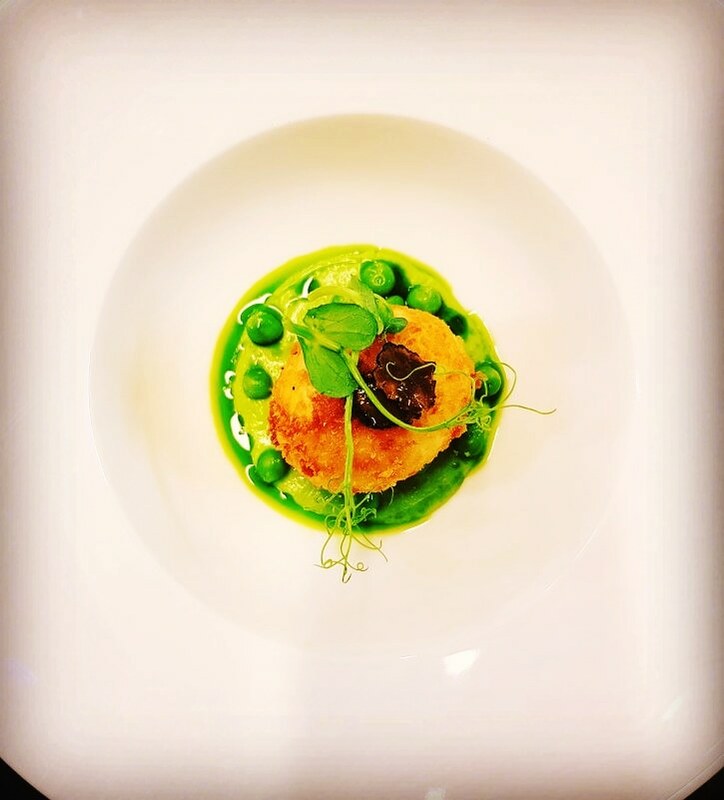 Craig Harvey hopes that very soon the Castle will become synonymous with the very best of food – whether it be dinner for two, a wedding banquet, a family lunch, afternoon tea, or simply elevenses. Craig (40), comes with a very fine dining pedigree. During the course of his career, he has even cooked for the Queen! He has trained with some of the very best local and international chefs of the day, including Gordon Ramsay and John Williams at Claridge’s as well as a spell at the Ritz and two years in Paris where he gained additional qualifications as a Patisserie Chef. 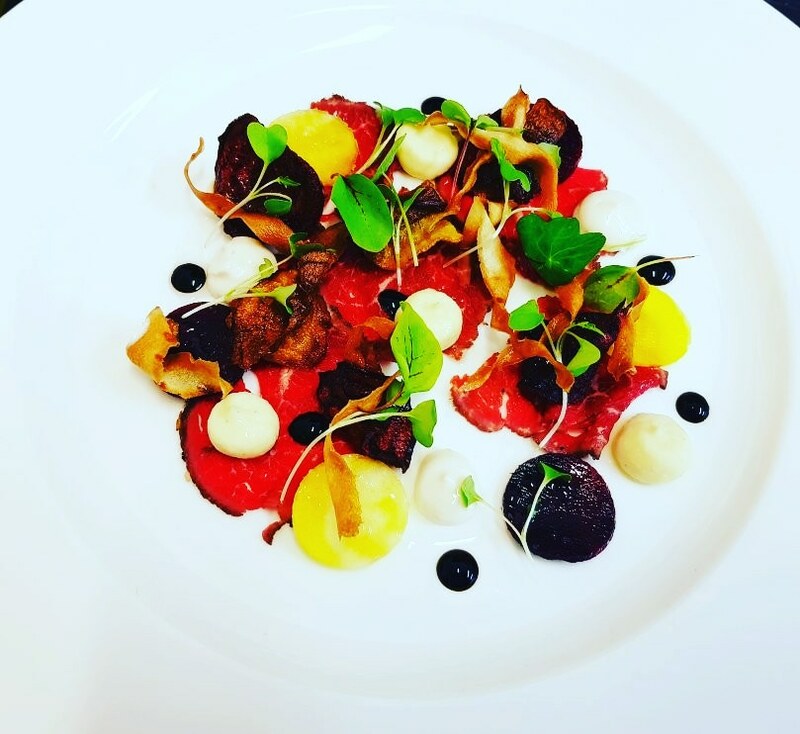 In the North East, Craig worked with Terry Laybourne at the original 21 Queen Street restaurant in Newcastle and was also Head Chef at Hall Garth Manor Hotel in Durham. He comes to Alnwick Castle after six years as Executive Chef at Close House. Originally from South Shields, Craig grew up fascinated by country life and wanted to be a game keeper when he was older, but family visits to his Auntie Jessie in Wallsend for scones and jam when he was seven years old put a stop to that and in no time, he was learning how to bake scones for the rest of the family too – and more. Since then it’s been cooking all the way, frequently working 18 hour shifts, six days per week at Claridge’s. It didn’t put him off. And it looks like Craig has joined Alnwick Castle at exactly the right time, as the Castle also has its own big foodie plans afoot! The existing courtyard café is getting a major revamp which should be ready for the Castle opening on 29 March. It is hoped that Sanctuary Dining – the Castle’s very popular, exclusive “pop-up” restaurant – will be opening most Fridays and Saturdays, and in addition, marvellous Medieval Banquets will be regularly taking place against a backdrop of the ancient Castle walls. Craig also has responsibility for the day to day breakfasts, lunches and dinners for the St Cloud University students who study and live at the Castle – and he is also in charge of day visitor lunches and snacks throughout the day. It’s a tall order for a man with just a team of five working with him, but it seems it’s truly a labour of love – he even has the dining room of his own Northumberland farmhouse converted into a private dining restaurant so he can cook for the public on his days off! The next Sanctuary Dining at Alnwick Castle will be Valentine’s Dinner on Saturday 16th February from 7pm. Craig has prepared a delicious, three course menu with lots of choice. The Castle reopens to day visitors with an exciting family programme for 2019 on Friday 29th March. It seems it’s truly a labour of love for Craig – he even has the dining room of his own Northumberland farmhouse converted into a private dining restaurant so he can cook for the public on his days off. The next Sanctuary Dining event at Alnwick Castle will be Valentine’s Dinner on Saturday 16th February from 7pm. Craig has prepared a delicious, three course menu with lots of choice. For more details, please go to the Alnwick Castle website.